This week is Dementia Awareness Week, and after working closely with our friends at Deafness Support Network (DSN), a leading Cheshire-based hearing charity for over 20 years, we’ve learnt that there’s a strong link between deafness and dementia. We want to properly understand the condition, as well as learning about the different ways we can get involved; offering our help, and support whilst spreading awareness too. 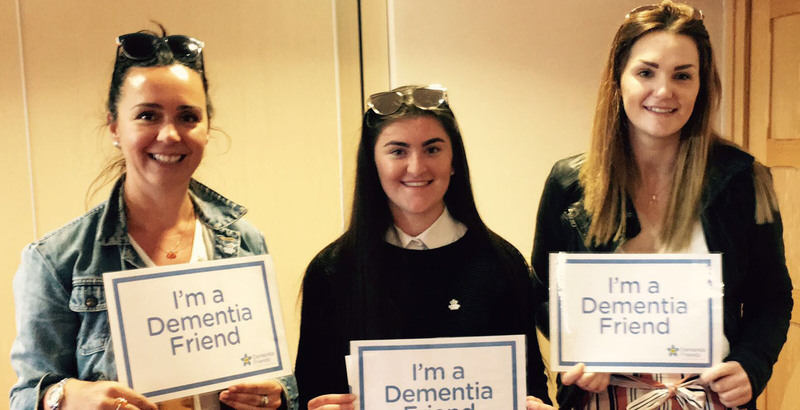 So, our MD, Kate, and team members, Caitlin and Sam, attended a Dementia Friends training session organised by DSN. 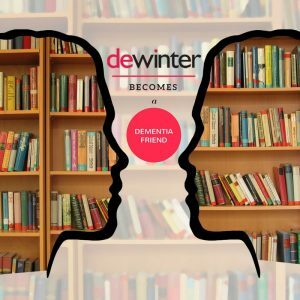 Dementia Friends is a campaign established by the Alzheimer’s Society to help raise awareness of many common misconceptions surrounding dementia and how everyone can help minimise isolation of dementia sufferers. Those with dementia often deem themselves to be a burden, and figures showed that they felt as though they had lost friends, becoming lonely as a result. Therefore, one of the main goals of our afternoon was to change the way some of us may have perceived the condition and the negative stigma surrounding it. DSN’s PhD student, Jenna Littlejohn, led the session and shared with us a fantastic bookcase analogy to help us visualise more clearly how dementia patients can lose memories, but always withhold the emotions attached. The bookcase is filled with books, each representing memories from different points in life; those at the top being the most recent, and those at the bottom from years ago. Dementia rocks the bookcase, causing books to fly off, with the ones on the top shelf the most vulnerable, and most likely to be lost. A second, more sturdy bookcase, stands alongside and represents emotions. It is shaken at the same time as the first bookcase, but its books don’t fall, leaving the emotional memories in tact. So someone may not remember that beautiful day out to the park, but they will always remember how it made them feel. Illustrating to us the importance to give time and share special times with friends and family , as they will cherish the fond feelings and emotions. The session highlighted the fact that it is possible to live well with dementia. We’re now officially Dementia Friends and have pledged our support to this worthwhile cause. The actions you take as a Dementia Friend don’t have to be massive, simply just wearing a Dementia Friends badge, taking the time to listen or even being more patient all contributes towards a positive change! So join us and find out how you can become a dementia friend here.